A while back I worked on a recipe for Pakistini chicken keema done in kebab form. This required taking a pretty wet ground chicken mixture and getting it to cling to a skewer, which was no easy feat to accomplish. In my tests, chilling the mixture in the freezer for a little while helped things out, making the meat firm enough to at least withstand the short trip from tray to grill, where it became more solid quickly as it cooked over a very hot fire. From the comments I got, not everyone had success with it, leaving me wondering what a better solution may be. 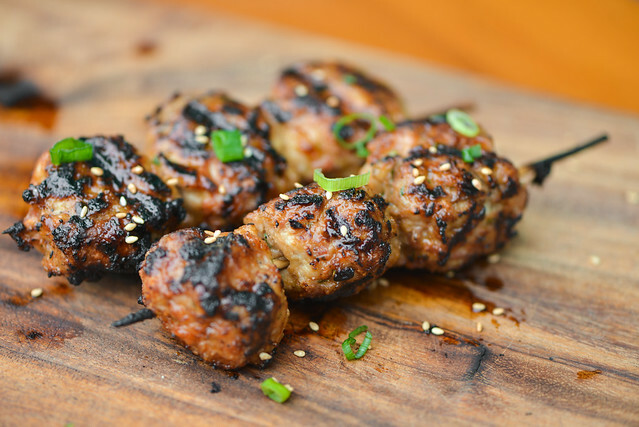 So I decided to go back at it, but this time using tsukune—Japanese chicken meatballs—as the ground chicken recipe of choice to work out my skewering dilemma. For years, my seafood aversion left me being that person who only orders off the "kitchen" menu at Japanese restaurants. During those days when I wasn't the eater I am today, I knew exactly what I was getting each and every time I stepped inside a Japanese place—chicken teriyaki. As I slowly branched out to other items—katsu, negimaki, tempura, curry...basically anything not seafood based—I left teriyaki behind and anything that resembled it, feeling like I was closing a shameful chapter of my life. 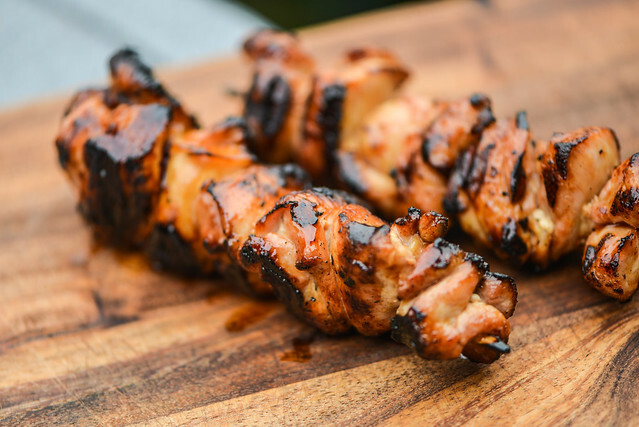 So it was with a little trepidation that I decided to do a recipe for yakitori, because this simple grilled chicken skewer with a sweet teriyaki-like glaze seemed like a reversion to days I would like to forget. In making it though, I found that yakitori was nothing to be ashamed of, but rather something to exalt. I'm totally "that guy" in Japanese restaurants. You know, the one person at the table who doesn't eat sushi and skips 3/4 of menu and goes straight for the tumpura, katsu, or teriyaki put on the menu just to placate people like me. While I'm slowly getting over a lifelong seafood aversion, raw fish has yet to successfully make its way into my diet, and I'm left ordering off of the "kitchen entrees" of shame. 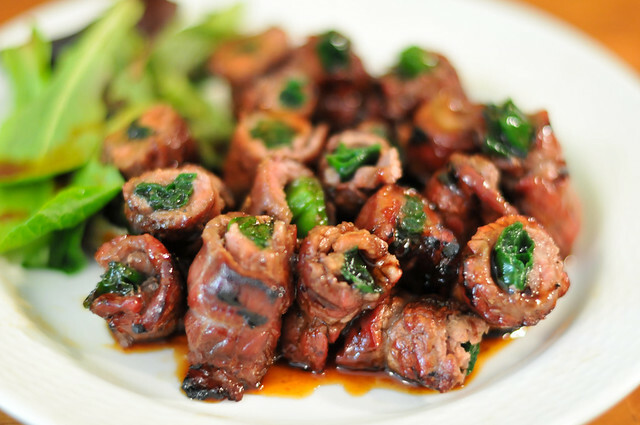 In my own messed up mind, sometimes I turn to negimaki—thinly sliced wrapped around scallions—and trick myself into thinking it's some sort of "meat sushi" because it's in a roll form. I know that's incredibly ridiculously, but you can't deny that this is some pretty good eats.